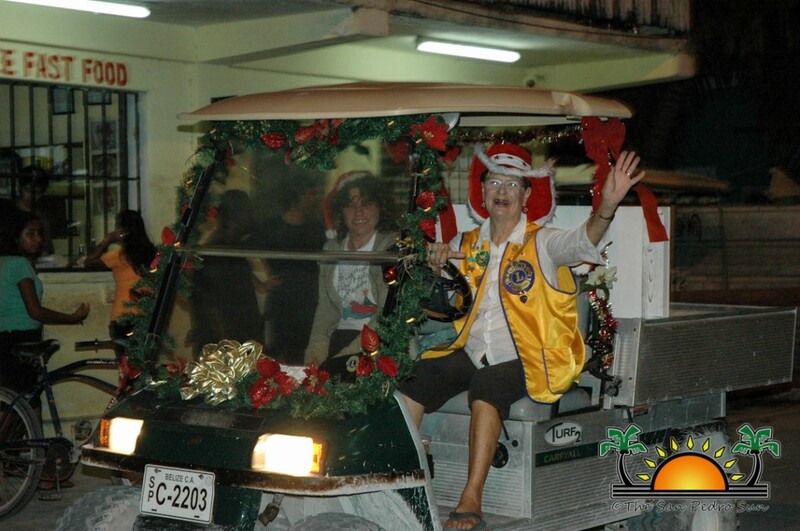 With the Christmas holidays in full swing, the San Pedro Lions and Leos Club were out in San Pedro Town on Sunday, December 22nd spreading some Christmas cheer with their annual Christmas Caroling. 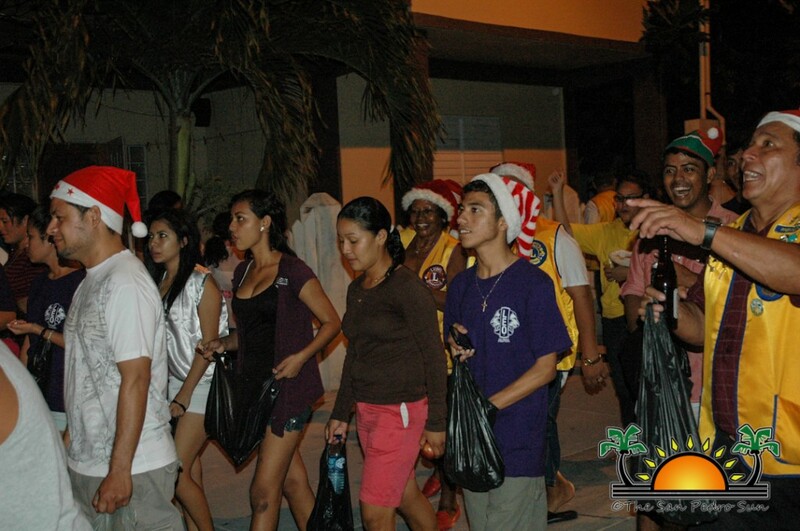 The caroling started at Boca del Rio Park, and as the carolers made their way through Laguna Drive heading to the town core, children ran up to them. Of course the Lions did not come empty handed, and they handed out sweets and apples to the crowd. 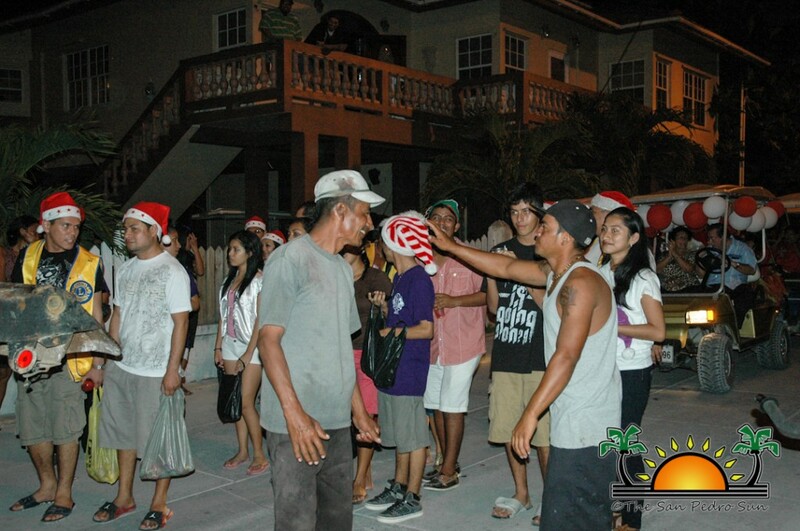 Isn’t Christmas Caroling without some music however, and Rompe Raja was present, bringing classic Christmas carols to life with an island twist. 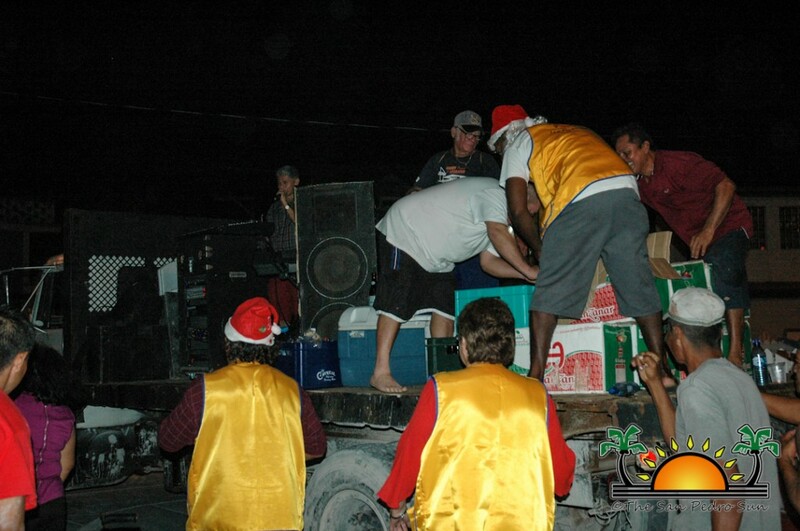 All the families of the area were happy to share the Christmas spirit and even joined along in the merry parade. The Christmas Caroling is the Lions last event before their big New Year’s Eve Party at the Lions’ Den. Everyone is invited to come out and dance into 2014 with the Super Furia band admission is $25!